Achieving best practices in production maintenance is a common goal that many wish to accomplish but few actually acheive. 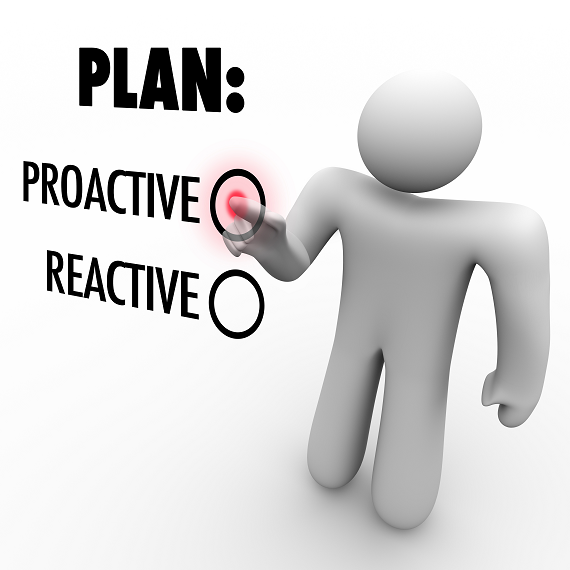 In fact, as many as 90% of organiations still waste resources being reactive rather than proactive. Whether it’s time management issues, improper planning, constant repairs, or not having enough inventory – there are lots of ways to get caught on the treadmill of reactive maintenance. Here are a few steps that can be taken in order to begin to change that pattern..
Make sure that you have all of the data you need on a variety of potential issues such as equipment downtime, technician response time, cost of downtime, parts costs, etc. This will give you an idea of what the expenditure would be for each hour of downtime that you experience. Once you have your data gathered, you can then look for variables that may affect your operations. For instance, what would be the positive effects of implementing a work order program such as CMMS, how would a faster response time effect your bottom line, and how much in savings would be necessary to have a plan for critical spares? Investing in a cloud-based software is paramount to becoming more proactive instead of reactive. A robust program will allow you to track your repairs and procedures over time, allowing you to predict and prevent mechanical failure and minimize downtime. The cost of the software is far outweighed by the unknown costs of repairs. Once you have invested in CMMS, it is time to implement the software into your day to day operations. Track your spare parts and inventory, set up preventative maintenance tasks, upload important paperwork such as manufacturer instructions and warranties, and learn to use it daily to schedule work tasks and run reports. Starting a new way of doing things takes time and patience but CMMS from Maintenance Care is easy to use and makes your entire operation easier. Have patience with employees learning to use the system and take time to learn the ins and outs of CMMS. Before you know it, you will make the transition from reaction to prevention and it is as easy as the software program is to use.